A fun but educating mix of jokes and fun animal facts. 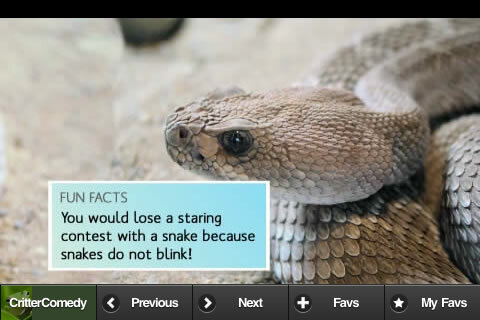 Brilliant jokes and animal facts with high-quality photos of animals that kids will love! These jokes will have kids aged 3 to 101 laughing and wanting to share them with friends. Option to star and save your favourites for quick access! Provides a fun way to spend a few minutes waiting in line or at an appointment! Next time you need a joke CritterComedy can help! 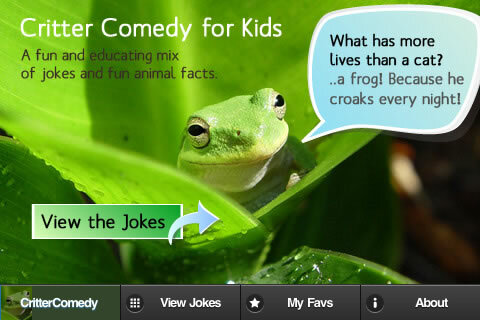 Get Critter Comedy for your Phone or iPad!